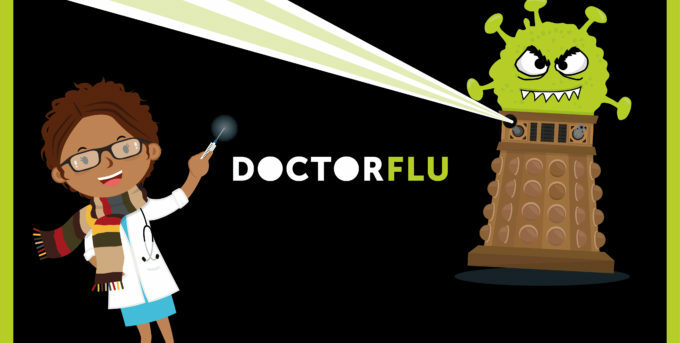 Help the Doctor exterminate flu this winter! Last chance to get your jab at the additional drop-in clinics running in January 2019. Help protect your patients and yourself. It’s easier than ever for CUH staff to get their free flu vaccination with drop-in clinics available around the campus. No need to book – just turn up! Remember, the vaccine does no give you the flu. It is a completely inactivated vaccine and doesn’t contain a live virus. Unable to reach our concourse clinic? Book now to have a flu vaccinator visit your team or department. All you need to do is email Staff Health & Wellbeing. If you’ve already picked up the vaccination at your GP or local pharmacy, please tell the OH team as it will count towards our final target. You can also get your vaccination from a local vaccinator working in your department. For a contact list of local vaccinators please see connect. Help exterminate flu this winter! The flu vaccine is the best protection we have against an unpredictable virus which can cause serious illness and death. This year, there are weekly draws to win £20 & £5 M&S vouchers and free Starbucks drinks, so the earlier you get the vaccine the more chances you have to win! Don’t forget to grab your free Doctor Flu pen and sticker when you receive your jab. 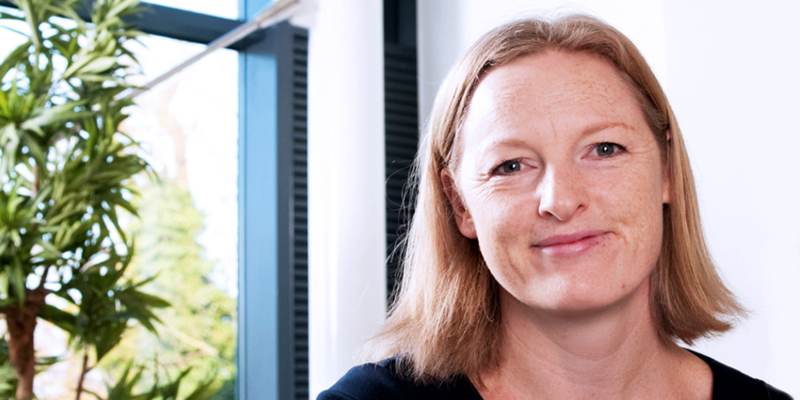 If you’ve got any questions, get in touch with the OH team: 01223 216767. What is the flu vaccine is and what it is used for? Before you receive seasonal flu vaccine. Egg (Ovalbumin and chicken protein), Formaldehyde, Gentamicin, Polysorbate 80, Octoxinol- 9, Cetyltrimethylammonium bromide and Neomycin. Signs of an allergic reaction may include itchy skin rash, shortness of breath and swelling of the face or tongue. If you are not sure, talk to the vaccinator before having the vaccine. Please tell the vaccinator if you are taking or have recently taken any other medicines, including medicines obtained without a prescription or have recently been given any other vaccine. Seasonal flu vaccine can be given with other vaccines, provided it is injected into separate limbs. In such cases, you should be aware that the side effects may be more intense. It is recommended that pregnant women receive the seasonal flu vaccine and it is safe to do so at any stage of pregnancy. If you have any concerns about your pregnancy and receiving the seasonal flu vaccine, you should discuss this with the vaccinator or if you prefer your midwife. Please the vaccine can be administered whilst breastfeeding. NHS England has recommended an alternative flu vaccine this season, that has shown to be more effective in those aged 65 and over. Unfortunately, this vaccine will not be available for administration within the Trust, therefore urge you to contact your GP to book an appointment to receive this free vaccination. How seasonal flu vaccine is given. The vaccinator will administer the vaccine in accordance with official recommendations and it will be injected into the top of the upper arm (deltoid). Vaccines in use this season are subject to additional monitoring and you can help by reporting any side-effects you may get. We encourage you to report any such side-effect to the occupational health department, your GP or community pharmacist. Like all medicines, seasonal flu vaccine can cause side effects, although not everybody gets them. Allergic reactions may occur following vaccination, in rare cases leading to shock. Vaccinators are aware of this possibility and have emergency treatment available for use in such cases. These side-effects occur within the first day following vaccination and usually disappear within 1-2 days without treatment. If they persist, CONSULT YOUR DOCTOR. Should you require any further information or have any questions please do not hesitate to ask your flu vaccinator or contact us on 01223 216767 or you can email: staffhealth.wellbeing@addenbrookes.nhs.uk. Download your consent form now: Flu consent form 2018. Download your Declaration of received elsewhere and drop it at one of our clinics. Download the Doctor Flu information sheet. Download the GP letter for vaccinators to give to those vaccinated that want to inform their GP. Support our campaign by getting your jab and promoting the clinics to others by sharing our posters and using our email signature. Poster landscape ask your care provider.